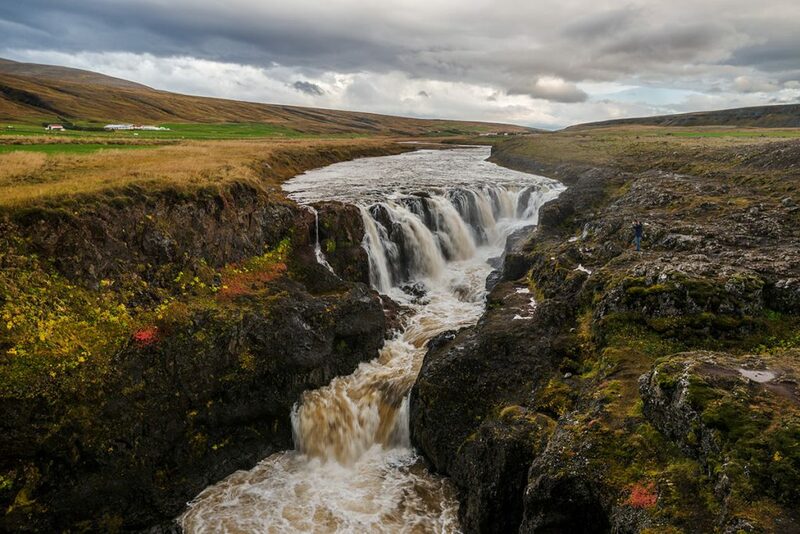 Smaller but nice canyon where you can feel the pure and dangerous Icelandic nature. There are steep cliffs covered by grass. 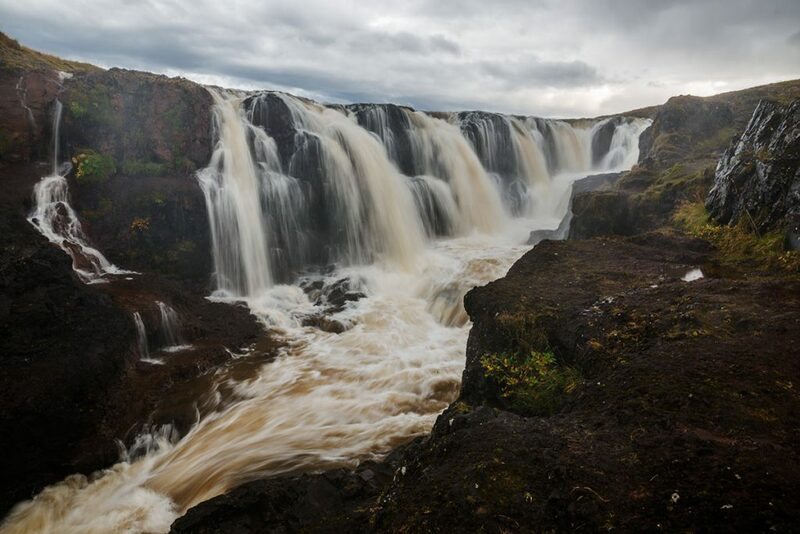 The waterfall holds the name of Kolufossar. 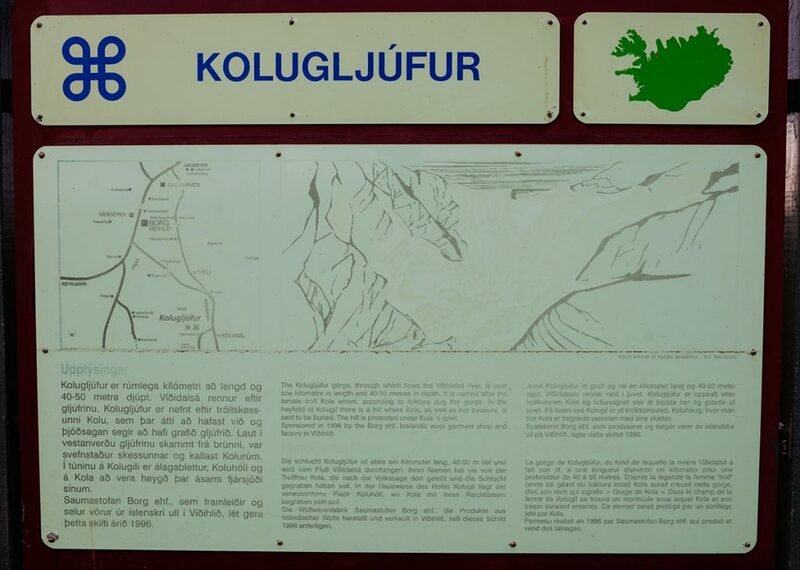 Kolugljúru canoyn is located at the north west part of Iceland 5 kilometers (3,5 miles) off the Ring Road. From there on, take the road nr. 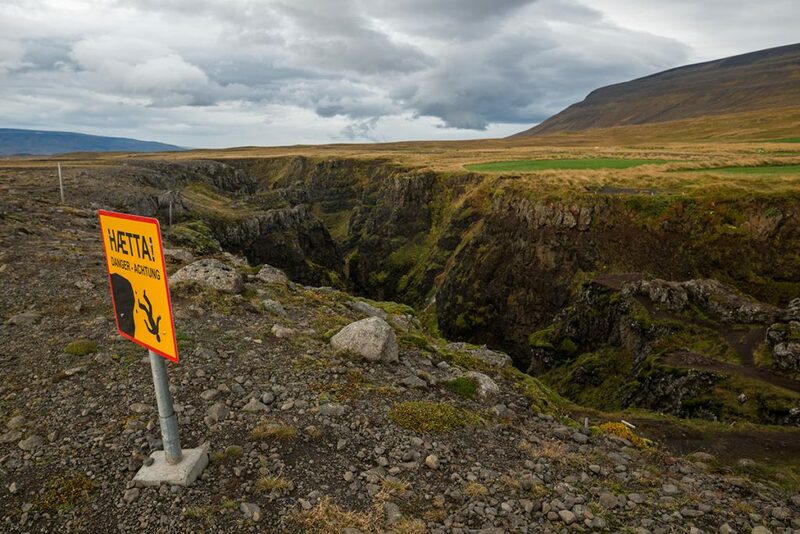 715 and just continue on the local road of strange icelandic name Hrappsstaðavegur. Just cross the bridge and you are there. 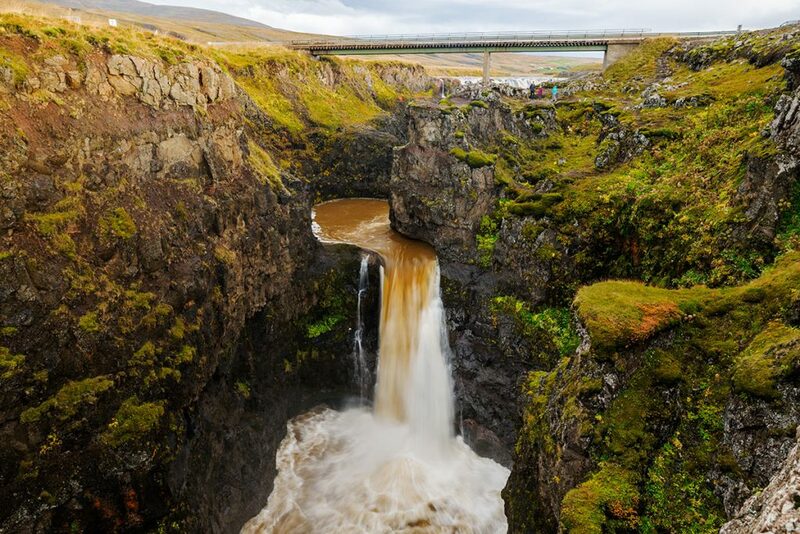 GPS coordinates of the Koluglúfur canyon: 65.332126, -20.569972 Take me there!